Okay, patches were applied cleanly and your master branch has been updated. Of course, run your tests again to make sure nothing got borked. 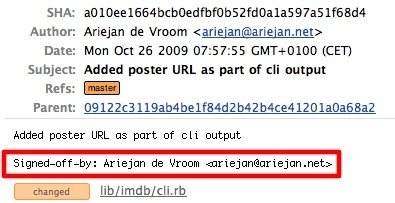 In you git log, you’ll find that the commit messages contain a “Signed-off-by” tag. This tag will be read by Github and others to provide useful info about how the commit ended up in the code. Are there any other git topics you’d like covered here? Please let me know!